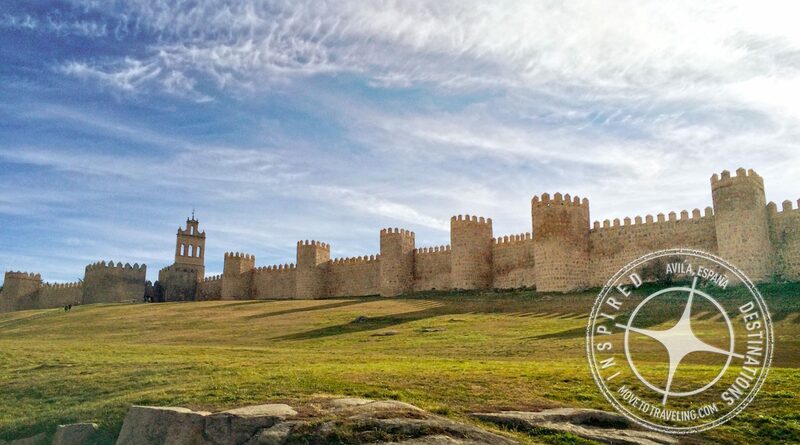 All throughout Spain the remnants of Medieval times attract and enchant us and visiting Avila is no exception. 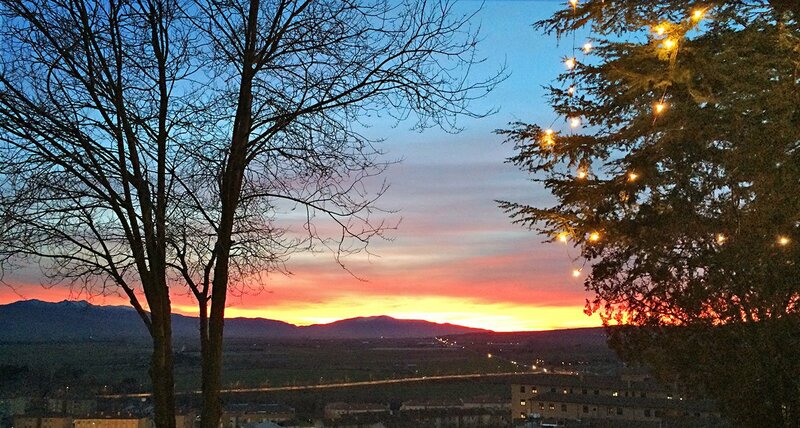 Many consider it to be sacred and one of the oldest and most beautiful towns in Spain. 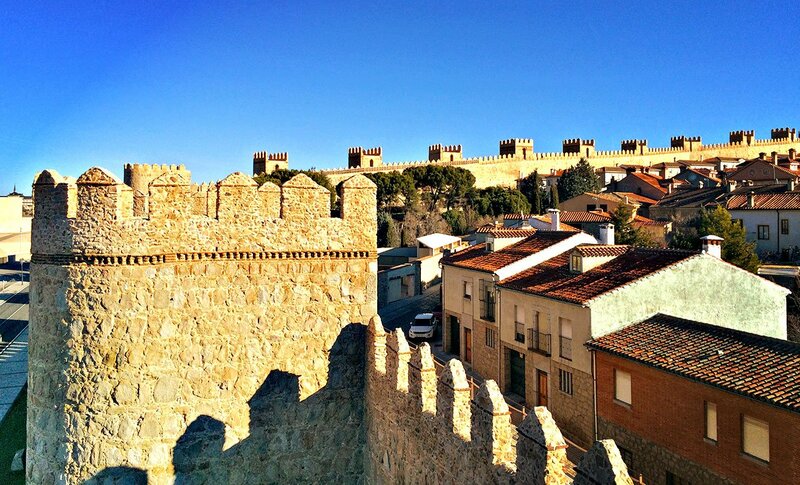 We can see why the town of Avila remains a strong, distinct experience that we feel anyone who loves Spain and Medieval history and architecture, should make sure to visit. We want to let you in on our visit, so you can get some ideas on where to stay and eat, and what to see. 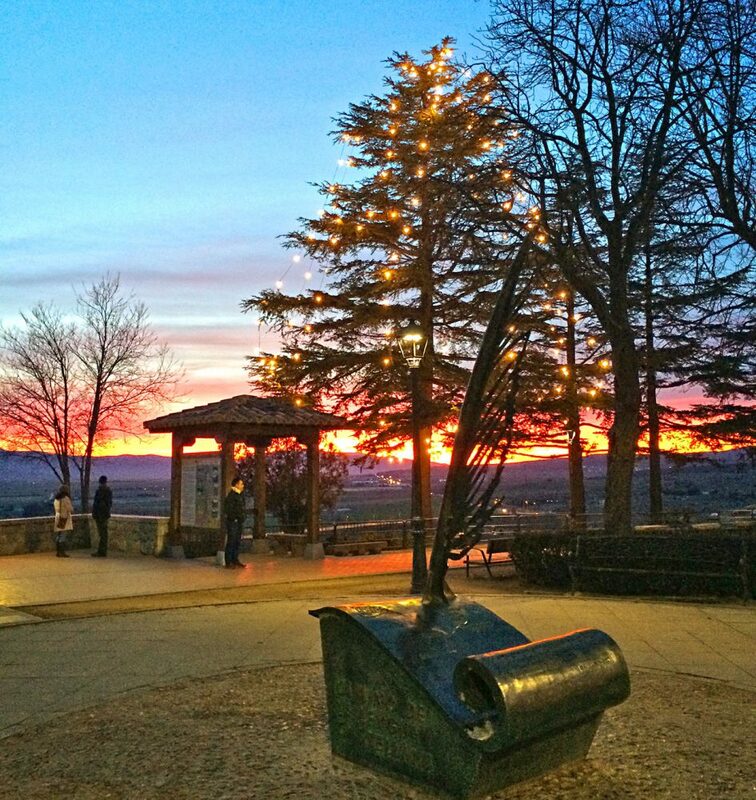 Avila’s location is conveniently located near Spain’s capital, Madrid. By car it’s about 1.5 hours and by train from Madrid’s Chamartin Station, it’s about a 2.5 – 3 hour ride. Even by bus can be a convenient, pleasant trip and is the most inexpensive route. Surprisingly, it can also be the quickest, with routes on Avanza that take only 1.5 hours. 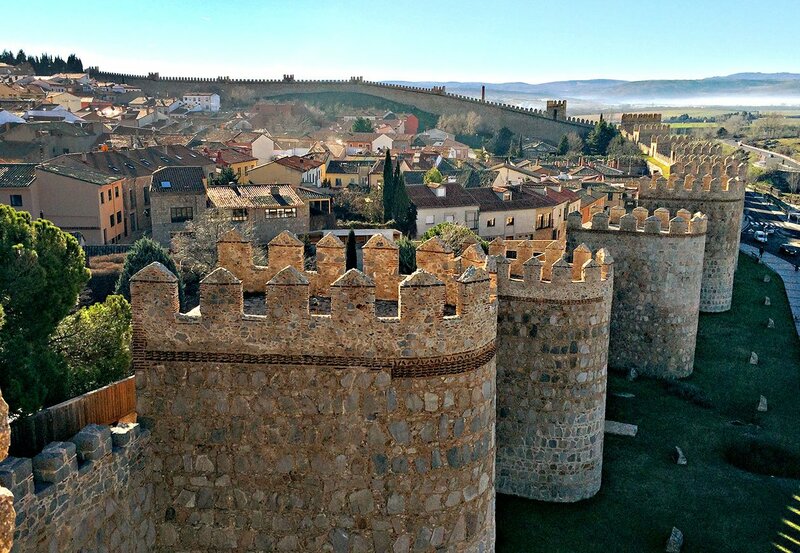 Does this location make Avila a good day-trip excursion from Madrid? Well, we think yes and no. The yes because of the transportation options and the no because once you’re there in Avila, you will kick yourself if you’re only staying one day – there’s just so many things to experience, not just see, so we highly recommend staying at least one, or ideally, two or more nights. Our trip to Avila was two nights and we drove, so arrived early afternoon the first day and left early afternoon the third day. While there we wished we had planned to stay at least a night longer. 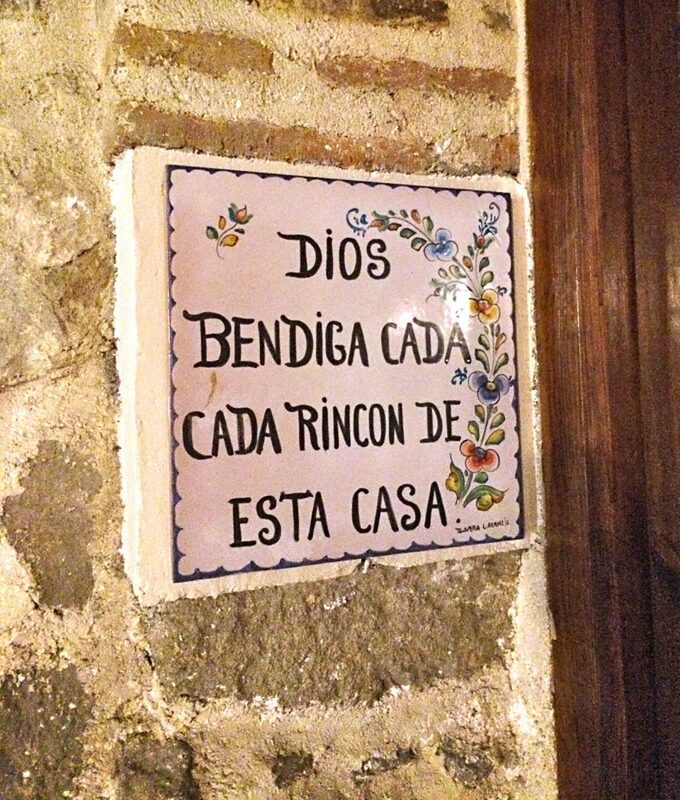 Our visit to Avila was two nights and three days. We went there from Toledo, just a couple days after New Year’s Eve. In general, visiting Avila in the winter will be cold and they can get snow. 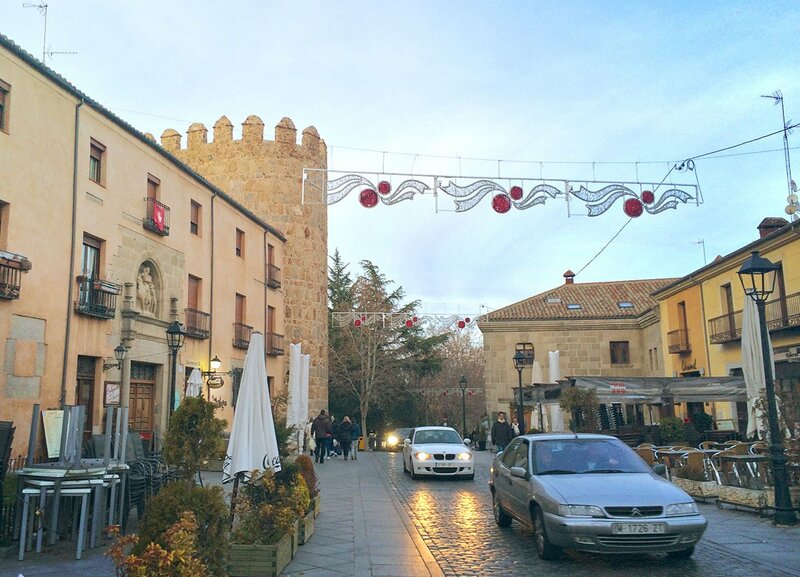 While the evenings were a crisp, semi-dry cold, it was still pleasant and beautiful, especially since the holiday decorations of Christmas and the upcoming Three Kings Day, were still all over the town. During the day we had beautiful, clear blue skies and bright warm sunshine. Bundled up cozily with layers was the perfect way to go and we certainly don’t remember being ‘cold’ so it didn’t dampen the experience. 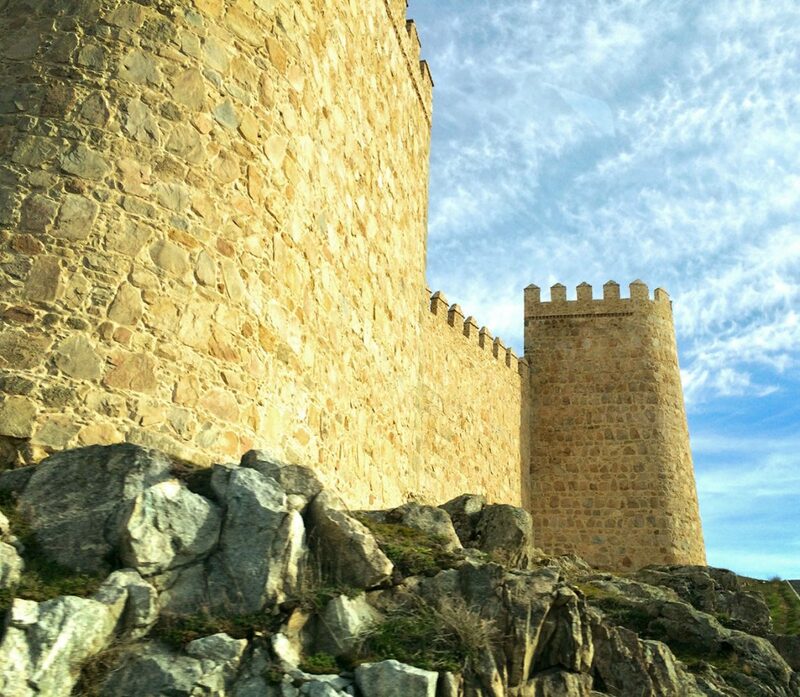 We highly recommend visiting Avila for the Christmas, New Year’s, or Three Kings holiday season if you’re going in winter. Certain dates during December and January also mean amazing, lower rates on great accommodations. March for La Semana Santa (Holy Week). This includes carnival parades and plenty of great food and festivities. In July Avila has their Outdoor Festival that features everything from sports exhibitions to theatre groups and performances. In the middle of September is also the Pilgrimage of Our Lady of Chilla, which actually takes place in the nearby town of Candeleda. Then in mid-October is Santa Teresa week, a religious event that is said to be the most popular and important annual festivals in Avila. 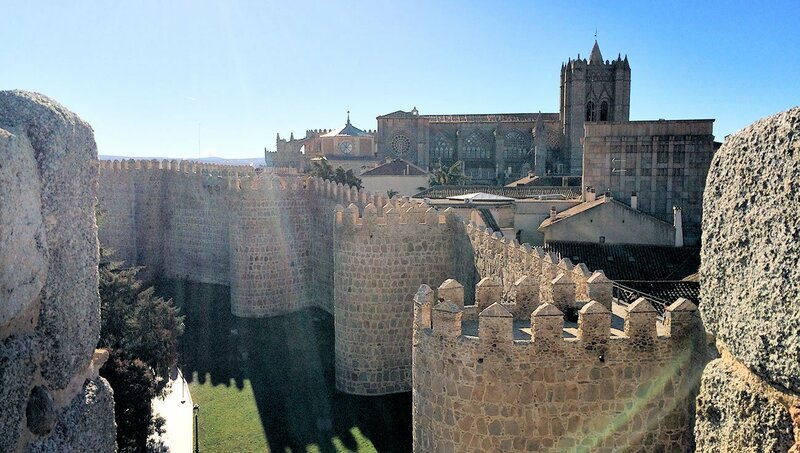 We’ve also heard of a Medieval Market of Avila, which some sources say is the first week of September. There is also a Medieval Market of Orihuela, which is a nearby town. This takes place around the end of April. 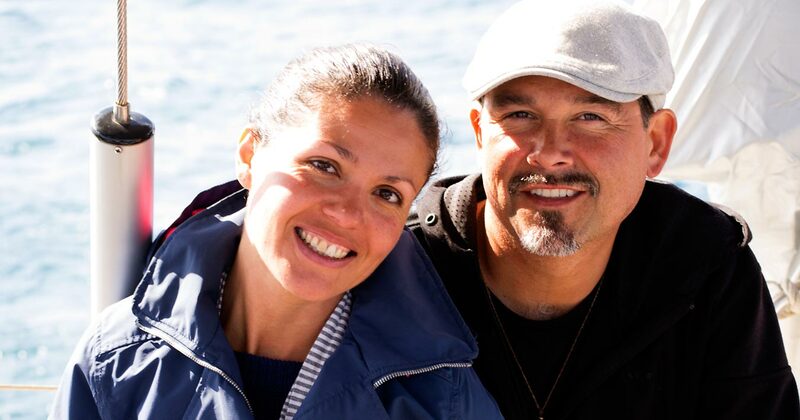 For us, anytime is a good time for visiting Avila. It’s all about your travel preferences, so consider if you want a quiet, crowd-free get-away or a boisterous, exciting carnival. Then choose your dates accordingly and you’ll be set. 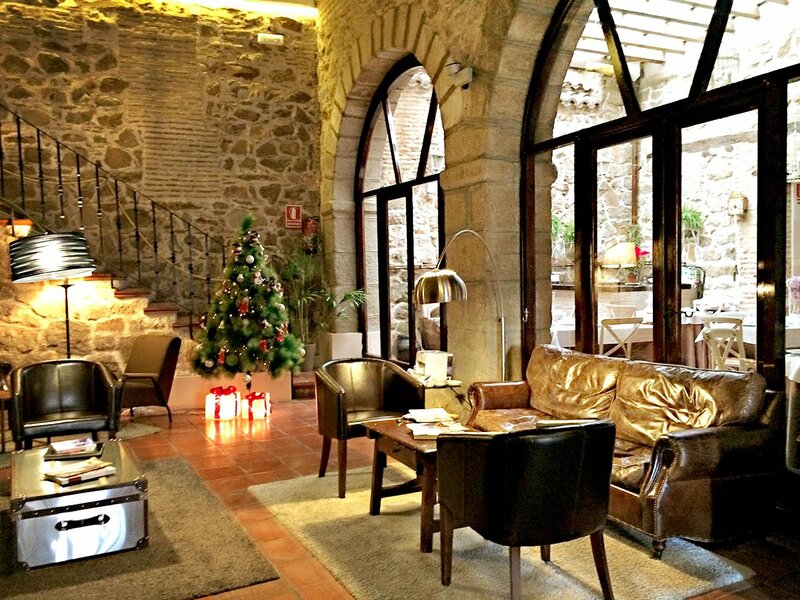 Where we stayed when visiting Avila, is still to this day one of our favorite boutique hotels we’ve stayed at in Spain. 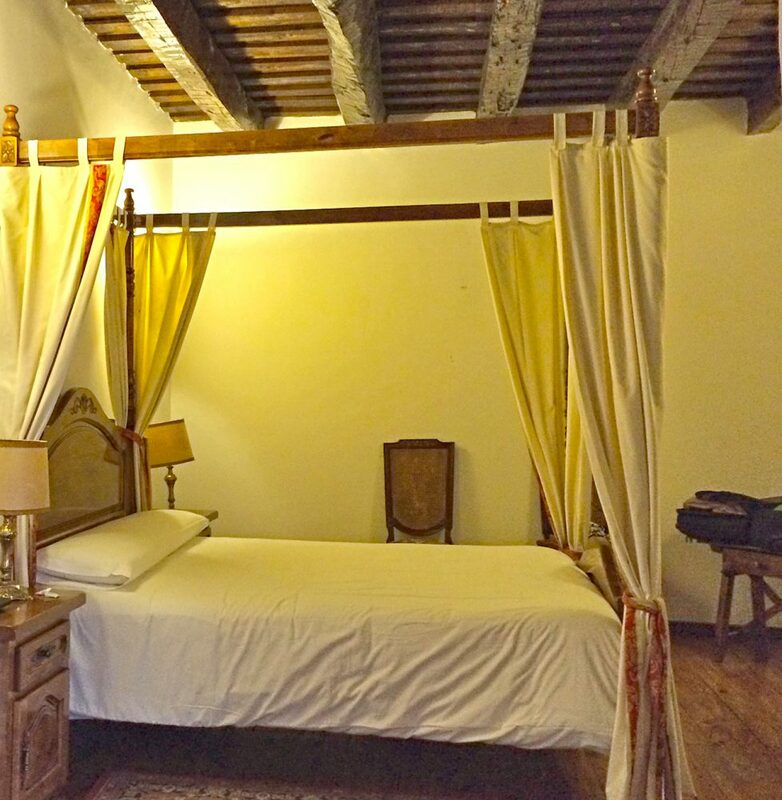 Located in the center of Avila, it is truly a charming, high-class hotel that has nothing of a cookie-cutter style. 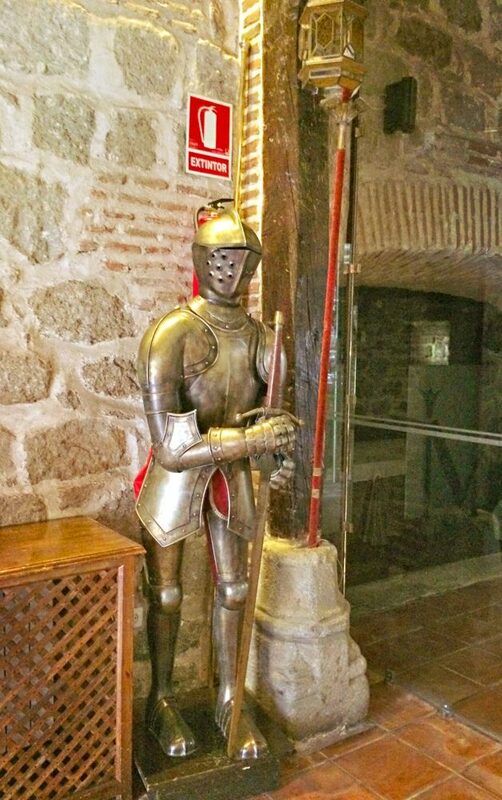 Meet the Palacio de Monjaraz, a historic palace built in the sixteenth century and now beautifully restored as a family project. We traveled with Amalia’s mother and her mother’s boyfriend. 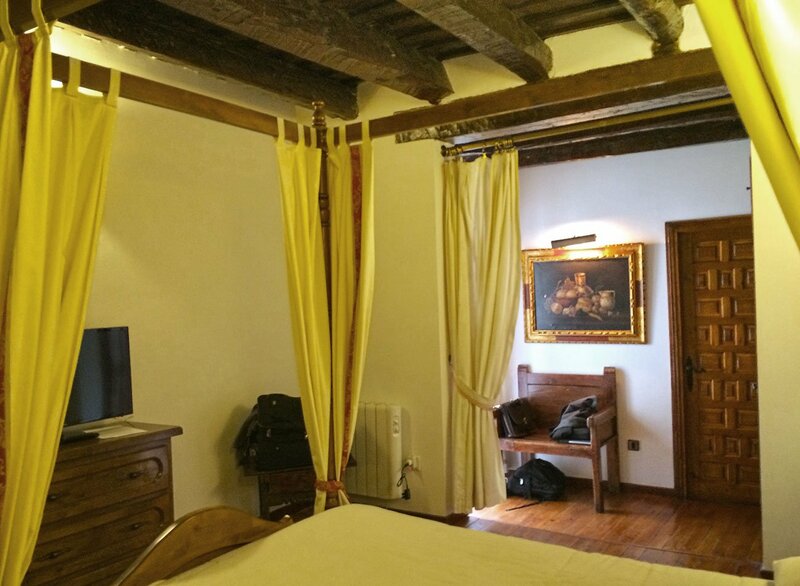 Each double room during the first week of January on weeknights, ranged between 65 – 85 Euros, and included breakfast. Our favorite highlights of the hotel include the various room styles, the lobby/breakfast area, and the bar/lounge area to one side of the hotel. Our interactions with the staff were warm and friendly and they were very helpful with recommendations on what to see in the town and how to get there. 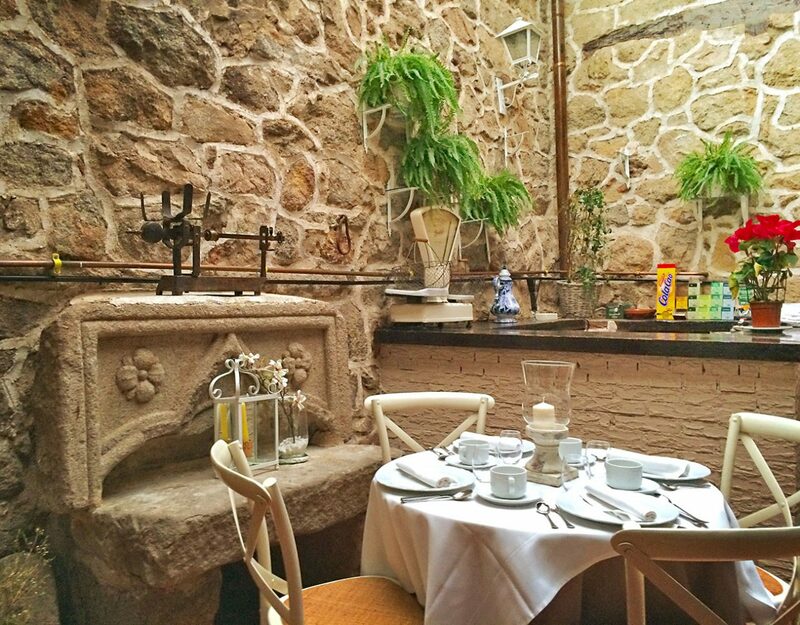 Remembering the Palacio de Monjaraz, we think it’s worthy of a return visit and could be a great hotel for a romantic get-away. When it comes to finding a good place to eat, there can’t be anything better than being allured by a mouth-watering, delicious scent. And that is how we came to eat twice, in only three days, at Restaurante de Cine (formerly known as Restaurante La Alcazaba). 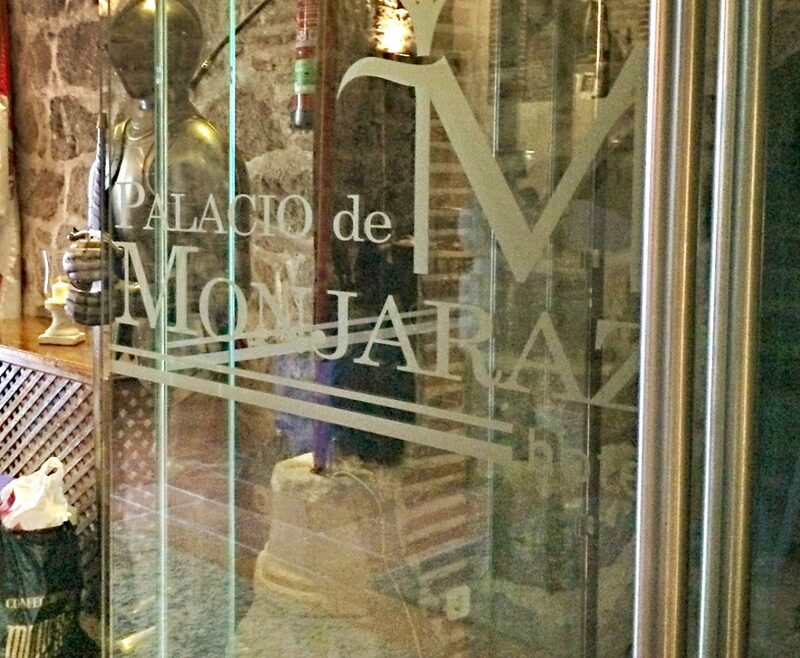 It’s conveniently located across from the hotel entrance of the Palacio de Monjaraz. The aromas wafting out its front patio were tantalizing. So when we saw they had a fantastic menu del dia (menu of the day) for lunch, we opted to try it out and ended up having a fantastic dining experience. The choice of dishes were traditional, seasonal cuisine from the local area. We distinctly remember their house red wine, homemade croquettes (croquetas in Spanish), beef, and starter soup of the day, all being fantastically delicious. 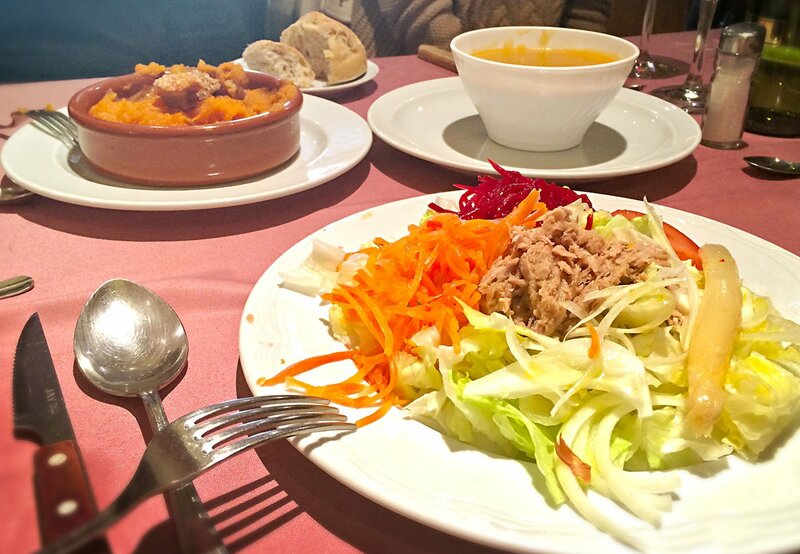 Among the four of us traveling together, we got to enjoy a variety of their dishes and deemed them all as some of the best menu del dias we’ve had in Spain. 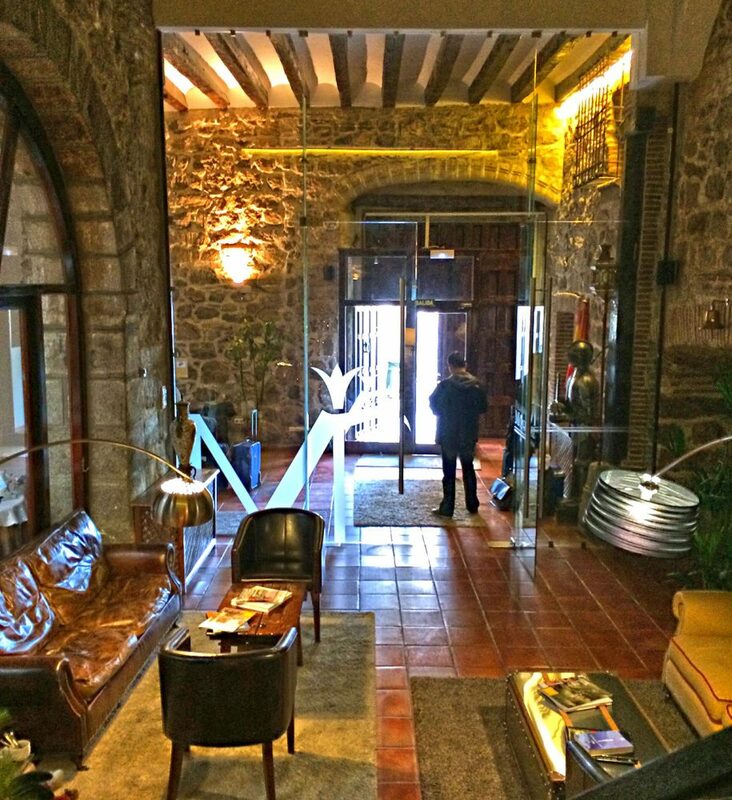 When we were visiting Avila, the restaurant was La Alcazaba and since then, owner José Antonio García Llorente ‘Woody’ has renovated and changed it to Restaurante de Cine. Being under the continued ownership and hands-on involvement of the same owner, we still highly recommend trying this restaurant when in Avila. It is another great reason why we will return, especially since we share with them a passion for film (cinema) and gastronomy. 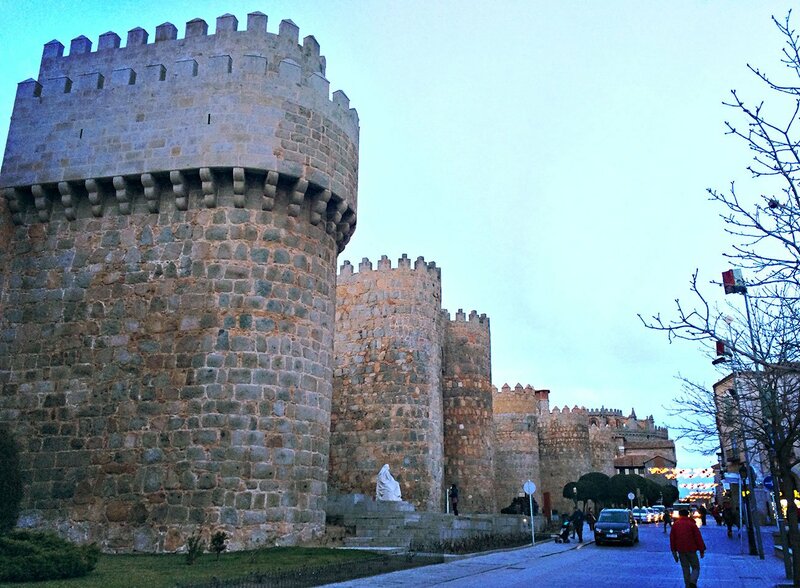 There are numerous, wonderful things to see in Avila. So many, that it would take another entire post to share about them with you (a future project so stay tuned). 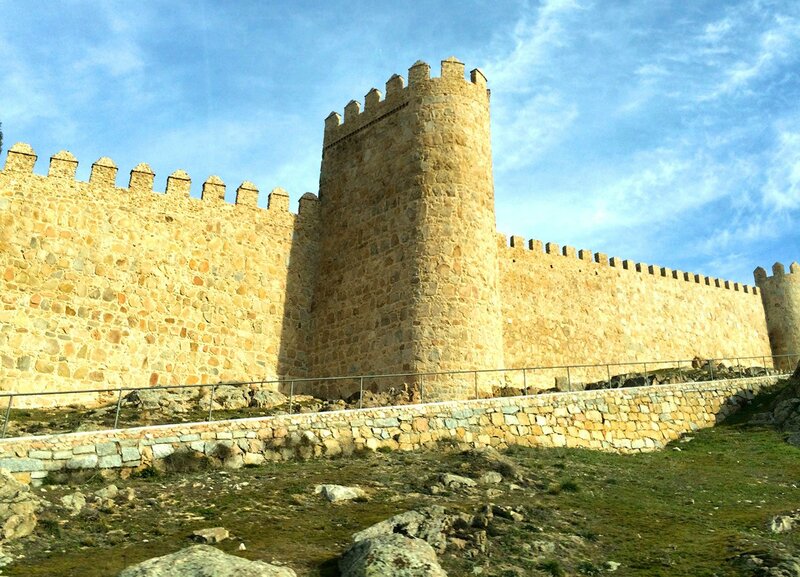 We’re going to focus on the main attraction, knowing first-hand that you can’t go wrong with what is the iconic site of Avila, its world-famous, Medieval Walls, the Walls of Avila. The Old Town of Avila is a UNESCO World Heritage Site. It is sometimes referred to as the Town of Stones and Saints. 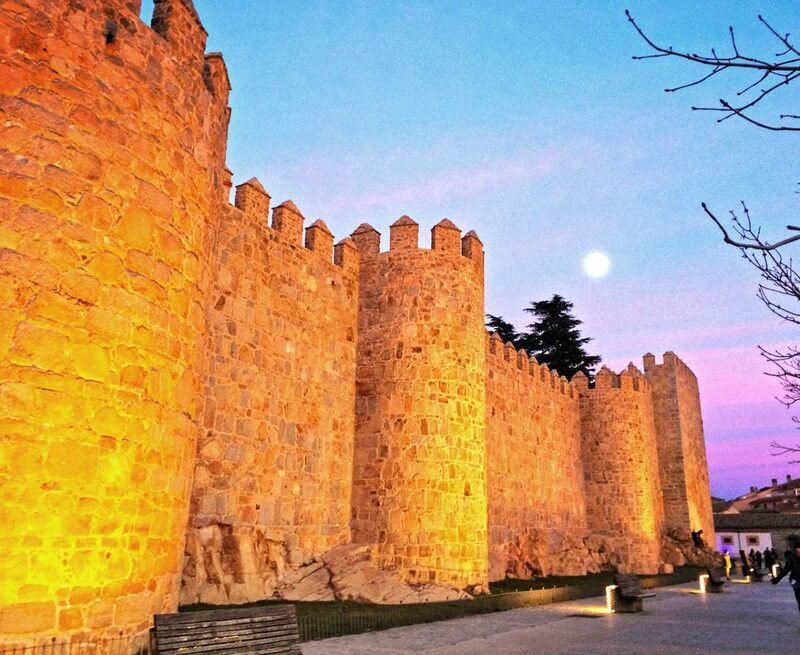 Dating back to when construction started in 1090, the impressive stone walls still completely encircle the town. 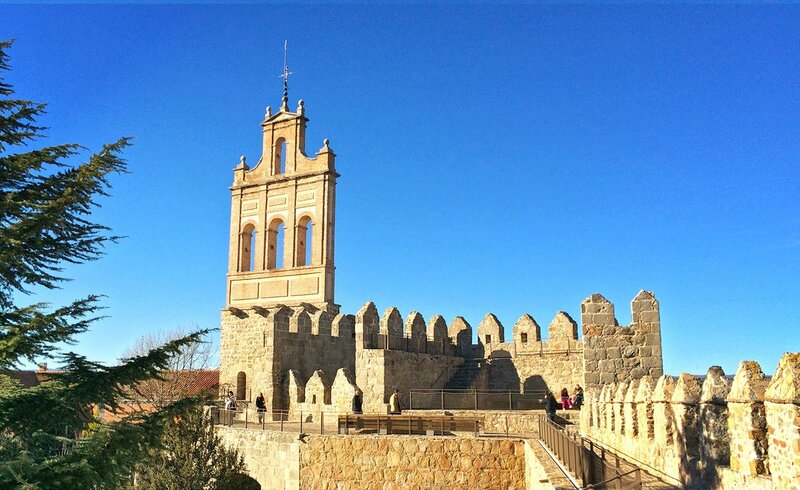 There are a remarkable 87 turrets, some of which you can walk to the top of, and 9 gates. Practically the entire series of walls can be toured along the top as a walking route. We were impressed at what a beautiful job the town of Avila has done with bringing the wall to life for visitors and local residents to enjoy. From our hotel it was an enjoyable walk to one of the several entrances. 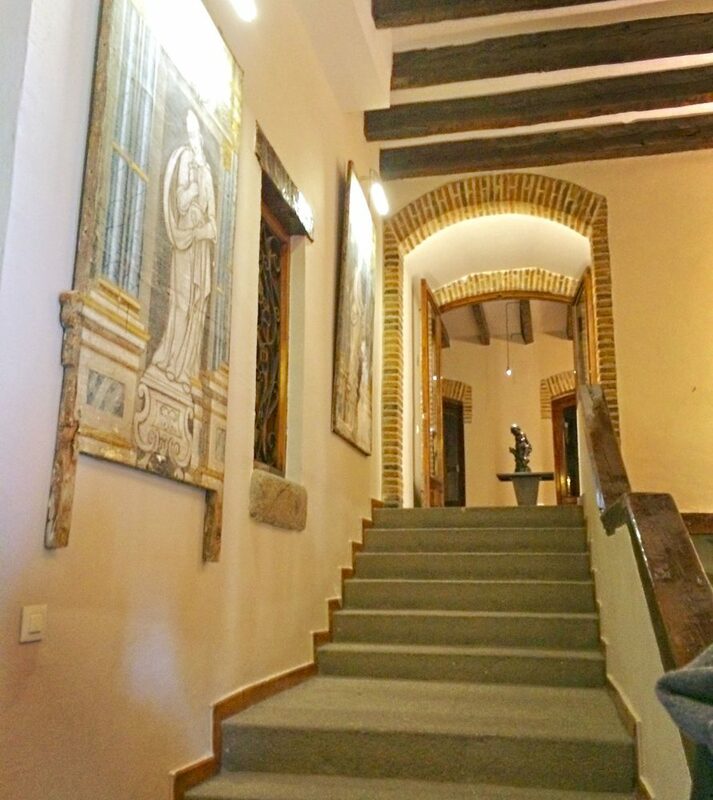 We did have a bit of a time at first finding an entrance, but the walk through neighborhoods of charming, old-world Spanish houses was enjoyable as well. We ended up starting off at what is considered the 4th section, between turret 41 and the Cubo de la Malaventura (Turret of Misfortune). Walking along the top of the wall, one can feel how names such as that came about. 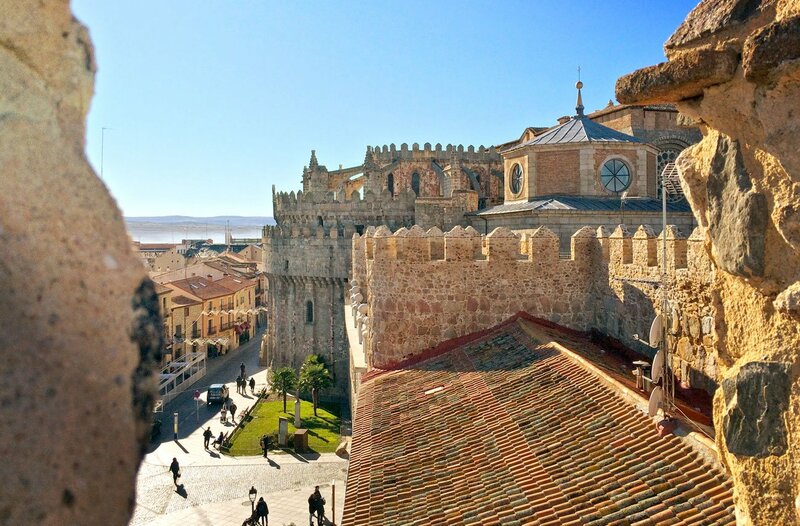 Walking the wall is full of breathtaking vistas, not only because of its height, but because every view, at every turn, is a magnificent compilation of the vast, natural landscape surrounding the quintessential image of Medieval Spain. Roof after roof of red Spanish tiles spread out within the walls, dotted by church bell towers, the main Cathedral and other ancient buildings that pique curiosity. Then further beyond the protective walls, the gently rolling tableland the town is centered on, spreads out into the distance to surrounding mountain ranges, many of which become snowcapped in the winter. A person could be up there all day and still not tire of the beautiful views from such an enthralling vantage-point as the wall. If you don’t have all day, don’t fret – the wall can be enjoyed in smaller portions. We did a majority of the wall, finishing at what is considered to be the first section, between the Apse of the Cathedral and the Cubo de la Mula (Turret of the Mule). In total this took us around 2 hours. Keep in mind that we stopped often for taking photos and to climb up to some of the towers that were accessible. 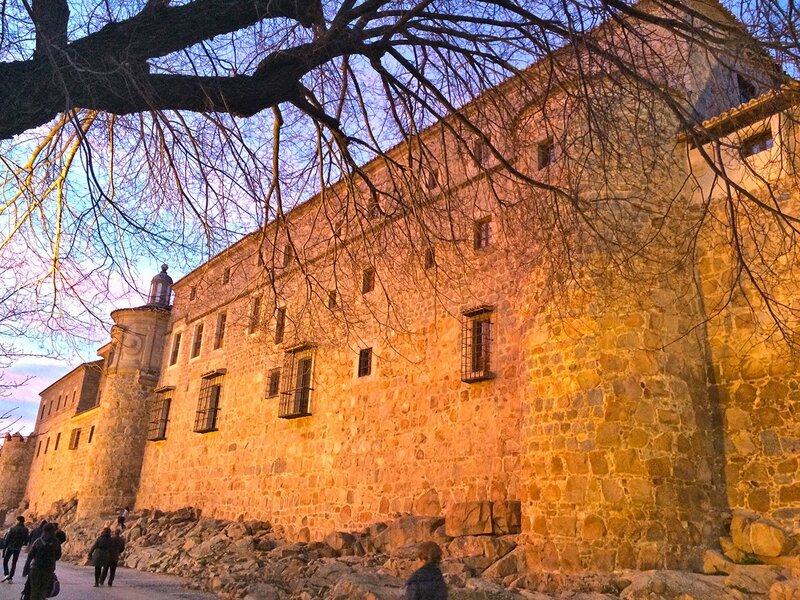 In addition to seeing the walls of Avila, just strolling around the town is the best way to enjoy seeing and experiencing its magic. Both nights, we enjoyed the main plaza and discovered other smaller plazas, following cobblestone streets along romantic stone buildings and getting drinks and tapas in local bars. The way the town is lit up at night is enchanting and the walls are known as the largest, fully illuminated monument in the world, so plan to also enjoy the town in the evenings. 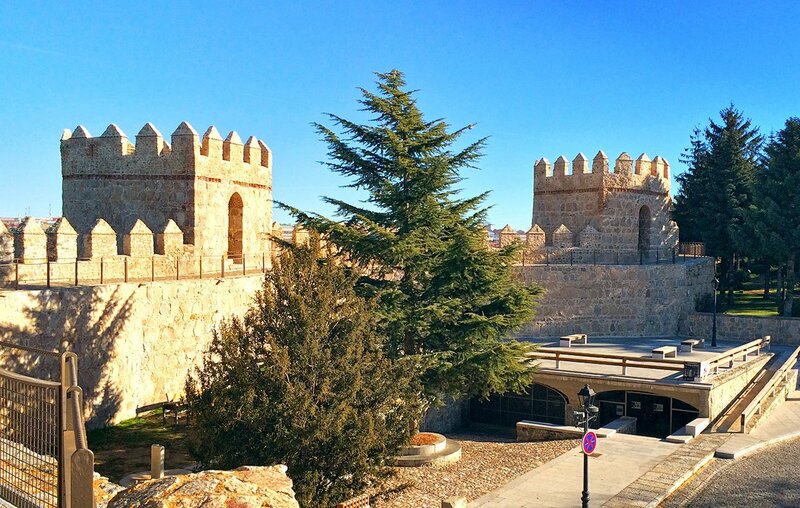 While many places in Spain certainly take us back in time, visiting Avila is also one of the most impressive and authentic Medieval experiences we have had in this country. 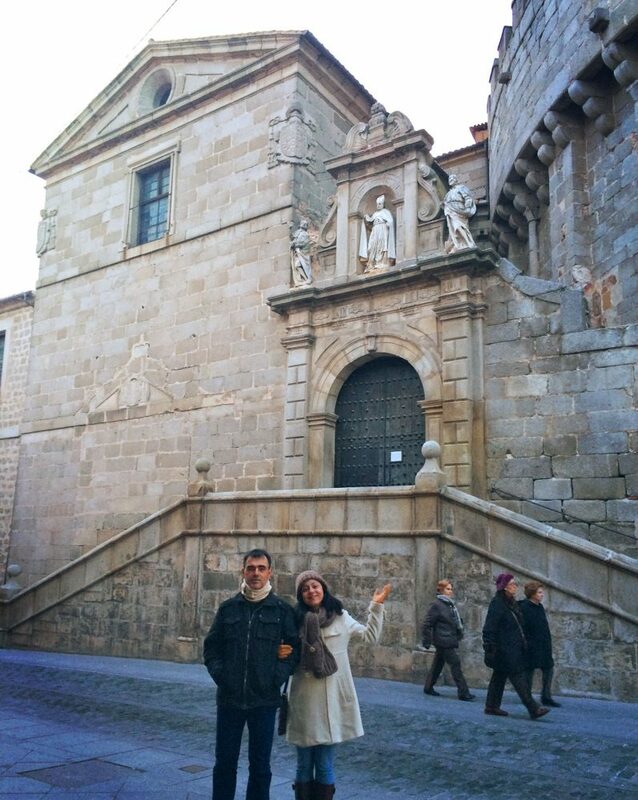 This trip was simply our first experience of Avila’s enchanting old town and impressive Medieval walls. 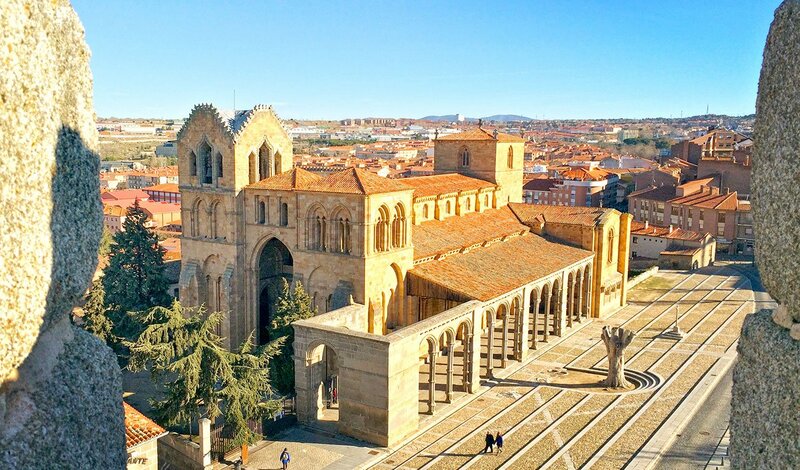 We can see how it becomes a favorite to return to especially for those who love Spain and its ancient history. 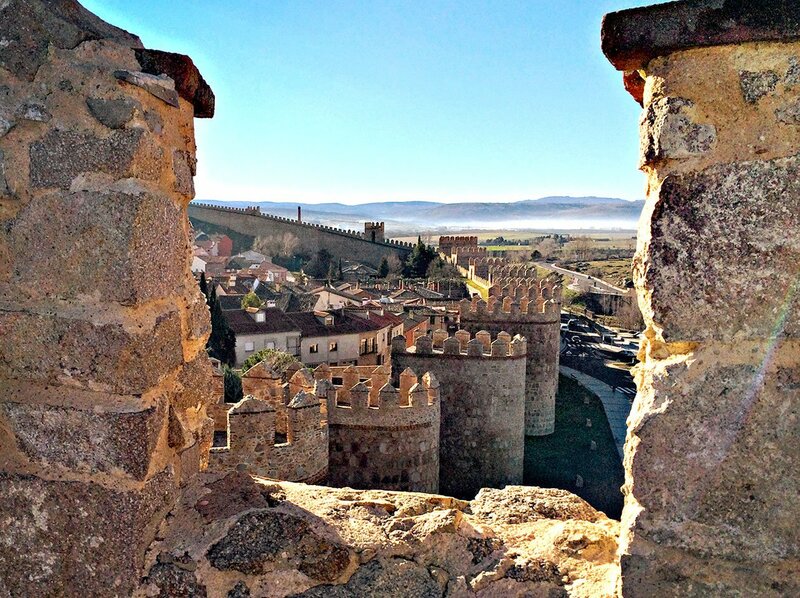 Avila captured our imaginations and hearts. It sent us off with a longing to return and an intriguing sense that there are many more wonders to discover and enjoy. 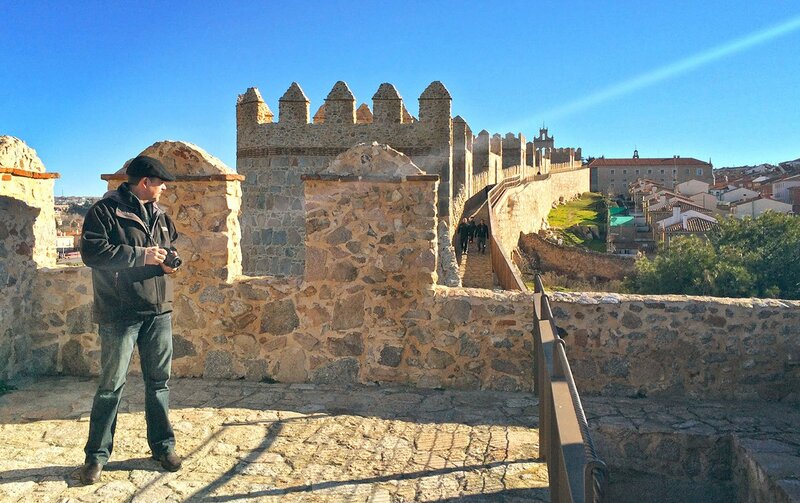 Have you been to Avila before? What did you love about it and what things would you recommend for our next visit? We would love to hear your stories and when we return to Avila, we’ll make sure to bring you the stories here.